One day a week, we don't see any patients at the clinic where I work so that we can focus on all of our "admin" tasks. (yawn) But I oddly enjoy the quiet most weeks, it gives me a chance to really focus on time consuming projects. Recently I have been listening to TED talks while I work instead of listening to music- win win, learning and working at the same time! One of the videos I listened to recently was about a creative gal who when packing her suitcase for her 7 day trip to the TED talks, packed only 7 pairs of underpants...and counted on thrift shopping for everything else she needed to wear. This is my kind of lady! What stuck with me was her mantra of "Buy Nothing New". Granted, if I adopted this mantra I don't honestly think it would be too difficult- I absolutely believe that I can find 98% of everything I "need" (clothing wise) at thrift shops and second hand stores. That has nothing to do with today's blog post, I just wanted to tell you. ha ha ha. I don't have enough lifetimes for all the careers I want to have. Does everyone feel that way? A career that I tried on for size a couple years ago was a wedding/event planner. 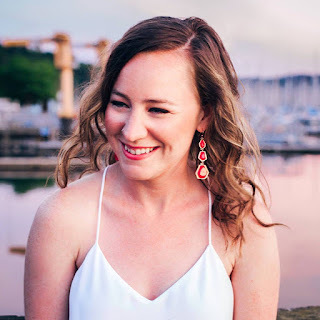 I wrote a blog about all types of events, helped coordinate some weddings, planned and hosted some bridal and baby showers....and loved it. Luckily, I am in a life phase that is chock-full of wedding showers, bachelorette parties, and baby showers. Bring on the paper straws, Pinterest, and excessive spending on Etsy. My Dad laughed out loud when I told him Louis goes to daycare twice a week. But in the spirit of totally embracing us owning a City Puppy, his daycare posted an article on their facebook page and I thought it was so interesting. 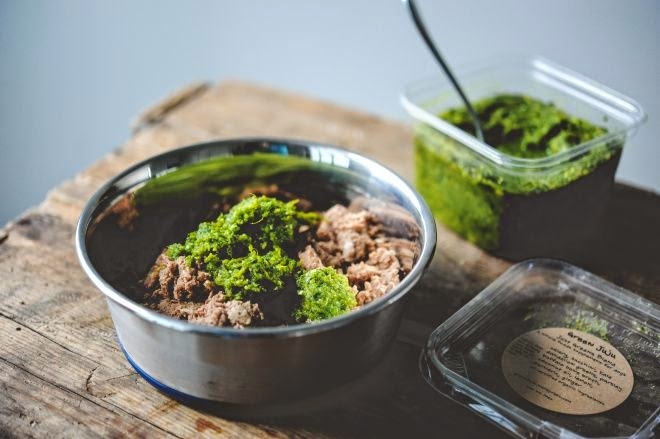 "Can you imagine anything more quintessentially ‘Seattle’ than a healthy food supplement for dogs made from organic kale and coconut oil and handcrafted with love in a tiny production facility among the boatyards of Salmon Bay? No, neither can we." Hey, laugh all you want but I'm totally in. Check out Green Juju Kitchen.